Whether you’re moving to or from the Bay Area, movers from Upline Moving would love to take you from Point A to Point B with minimal cost, stress, and hassle. As a family-owned and locally based moving company, we’ve been serving our fellow Bay Area residents for more than a decade. We understand that a residential move takes special expertise, and that’s all we offer! By focusing exclusively on household moves, we’re able to ensure the highest levels of care and professionalism—no matter how far you have to go. We can even supplement your one-of-a-kind packing and moving plan with helpful storage options before, during, or after moving day. 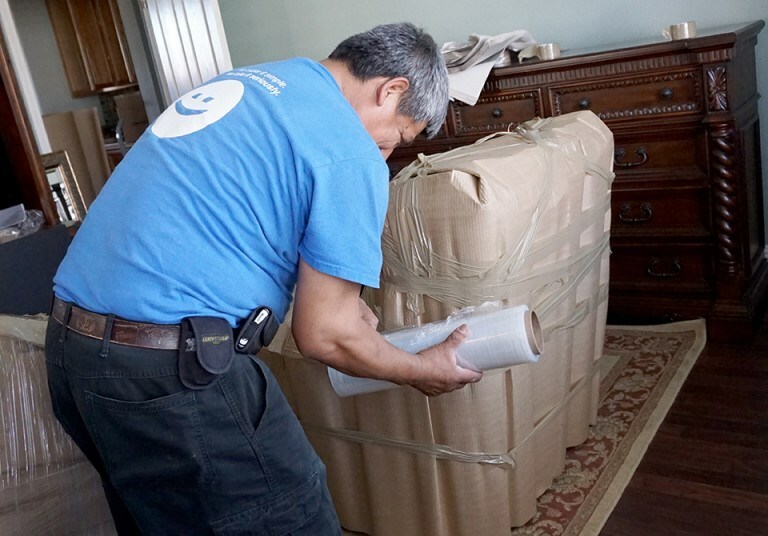 Our Bay Area moving company is consistently voted among the “Best of San Francisco,” and we can deliver the careful, conscientious, and customized move management that your family deserves. Find out why a full 70% of our past customers use us for subsequent household moves by calling our friendly Bay Area movers today! If you’re ready to schedule your free in-home moving quote with an Upline Moving expert, go ahead and fill out our brief online form right away. Save time on your upcoming move with FREE packing services from Upline Moving! They help me with my move from Alamo to Danville last month. Everyone that I talk to from setting up my move, to the foreman were very helpful, nice and respectful. They answered all my questions and made my move very easy and stress free. I highly recommend them for moves.